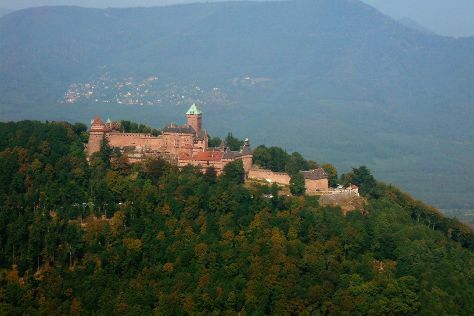 You'll find plenty of places to visit near Strasbourg: Kintzheim (La Montagne des Singes & La Volerie des aigles), Château du Haut-Kœnigsbourg (in Orschwiller) and Old Town (in Colmar). Next up on the itinerary: steep yourself in history at Fort de Mutzig, admire the striking features of Cathédrale Notre Dame de Strasbourg, and tour the pleasant surroundings at Parc de l'Orangerie. To find ratings, maps, and more tourist information, read our Strasbourg travel guide. In August, daily temperatures in Strasbourg can reach 30°C, while at night they dip to 17°C.